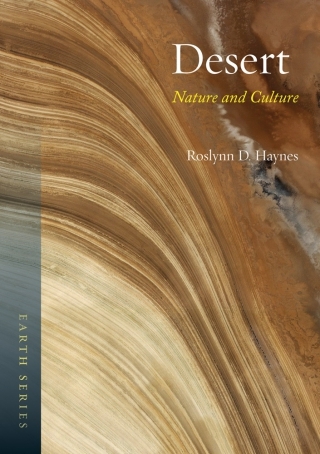 Desert takes a fresh look at one of the most signiﬁcant natural aspects of our planet as both a geographical feature and a cultural entity. It examines and often overturns our common notions about deserts, from the fear of desolation and death of thirst on the one hand, to the attraction of the exotic, adventure and freedom on the other. There is an immense geographical diversity of deserts from the Sahara to Antarctica, and plants and animals have adapted to these hostile environments in intriguing and often bizarre ways. Diverse races have also inhabited deserts and evolved unique lifestyles and cultures in response to their environments. The book also asks why all three of the world’s great monotheistic religions, Judaism, Christianity and Islam, originated in the deserts of the Middle East, and traces the continuing connections between the minimal materialism of desert existence and the pursuit of a spiritual dimension. Deserts have also long exerted an allure on the West, leading to the impetus for exploration, the fascination with travellers’ tales and the fashion for Orientalism in art, architecture and dress. Desert also reviews the signiﬁcance of desolate landscapes in literature and ﬁlm and looks at artists’ responses to the desert, from seeing it as empty space, devoid of interest or perspective, to devising new visual techniques through which to ‘see’ it. Roslynn D. Haynes is an Honorary Associate Professor in the School of Arts and Media at the University of New South Wales and a Visiting Fellow in the School of Humanities, University of Tasmania, Australia.